We are successful, veterinary-recommended dog trainers who serve the communities of the Richmond, VA. area, including, but not limited to, Midlothian, Short Pump and Glen Allen. Our in-home dog training programs are appropriate for dogs of all ages, all breeds, and all temperaments. 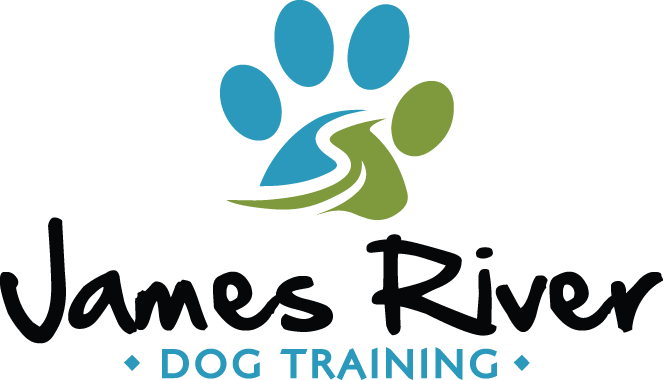 James River Dog Training of Richmond routinely works with dogs suffering from severe behavior issues, including aggressive dogs, and dogs with separation issues. We also provide puppy training for young puppies, and basic obedience and manners for dogs of all ages. In all cases, we are professionals. We understand how to resolve dog behavior issues, why they occur in the first place, and of course how to prevent them. It is never too early – or too late – for professional training. What are the Common Signs of Separation Anxiety? Why Recall Is A Lifesaver! James River Dog Training takes pride in providing reward-based, results-driven dog training using the most efficient methods. We are careful to stay current on recent dog training methods, dog training news, and case studies. Best of all, James River Dog Training gets to know you, as the owner, too. Sure, we’re “dog people,” but that doesn’t mean our people skills are lacking! As fellow dog-lovers, we understand the importance of a good relationship with your dog, and our goal is to enhance that relationship through dog training. Our training is truly “monumental” because not only do we get the job done, we strengthen the bond between you and your dog in the process. If you’re looking to resolve your dog’s behavior issues (big or small), we can help! Each day we receive calls from dog owners who’ve been told by other dog trainers that their dog is “beyond help.” We beg to differ. After talking with you, our first step is to come out to your home and meet both you and your dog. We’ll do a thorough evaluation of your dog, we’ll get to know both you and your dog, and then we’ll put together a dog training program that works for you both! To talk with us about your dog’s situation, please call us at 804.412.6003, or email us using our contact form. We can’t wait to hear from you!